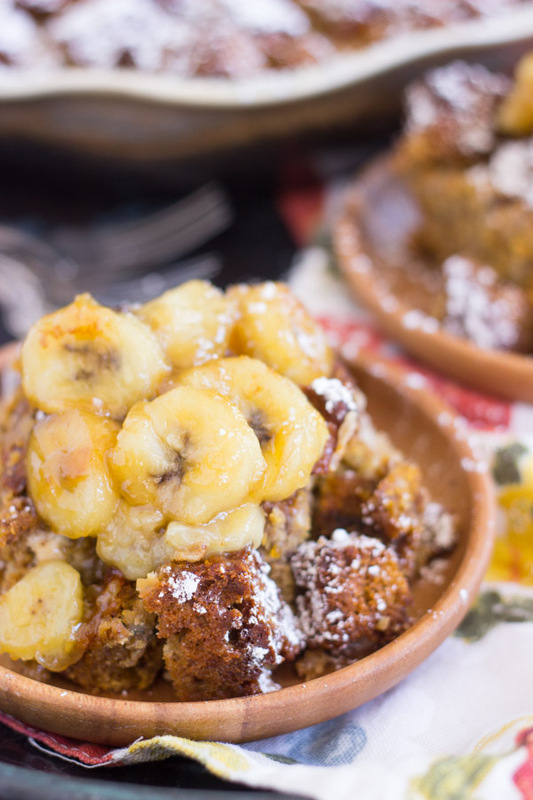 My favorite moist and dense pumpkin banana bread, full of flavor and spice, made into a creamy, rich, custard-like bread pudding! I’ve been using the same banana bread recipe for years and years, and I found it in Cosmo, of all places. But it’s a perfect, perfect banana bread. I’ve probably made it 100x, and it’s a very versatile and reliable recipe. I’ve adapted it a ton, and it always turns out wonderfully, and it’s just highly reliable and delicious. 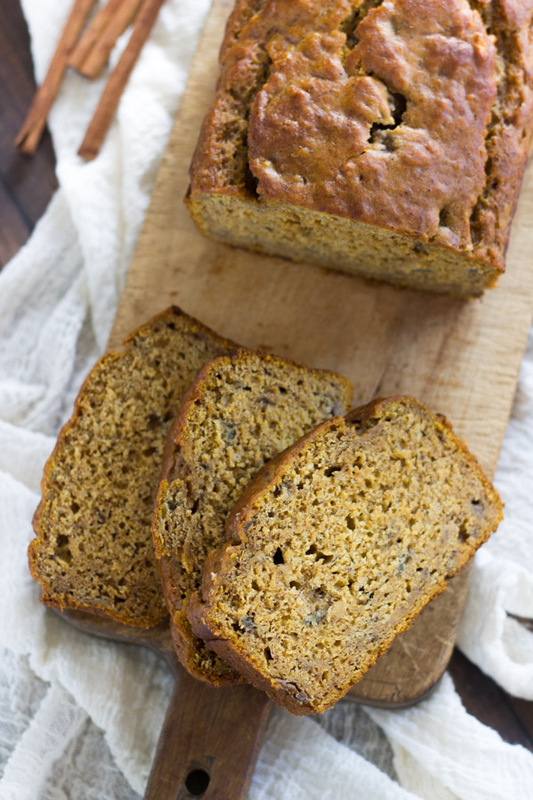 I developed this Pumpkin Banana Bread recipe a few years ago based on my banana bread, and I can’t say enough good things about it if you love a good banana bread (who doesn’t? 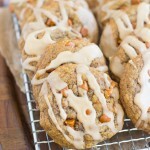 ), and you love pumpkin stuff (again, who doesn’t?). It’s dense and filling, sweet, but not too much, and it achieves the ultimate in moistness. Banana is potent in baked goods, and the flavor can overtake everything, but not in this bread – the pumpkin still pulls through strong. It’s equal in both, and it’s loaded with spice. 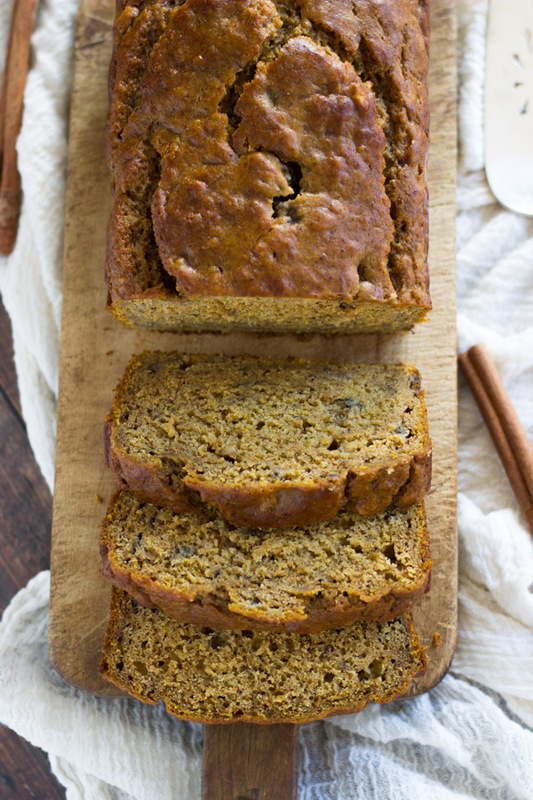 The aroma fills the entire house when it’s baking, and it’s what you want every fall morning to smell like – cinnamon and spices, pumpkin, and banana bread, freshly baked. Anyway, I have another bread pudding recipe coming up, and it is so unbelievably good, that it inspired me to make a version for fall using a loaf of my Pumpkin Banana Bread. I guess this is time-consuming because you have to bake a loaf of that bread, and then we turn it into bread pudding, in which it gets baked again. However, it’s so very worth it. The custard that bakes with the bread pudding is incredible. It’s bad for you – lots of heavy cream, eggs, and sugar, but it creates the most luscious and creamy custard among the pumpkin banana bread. It is just the silkiest and most creamy custard. 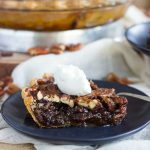 Perhaps that has a lot to do with those aforementioned unhealthy ingredients, but we’re approaching the holidays, so it’s a good time to splurge a little. It’s fiiiine. 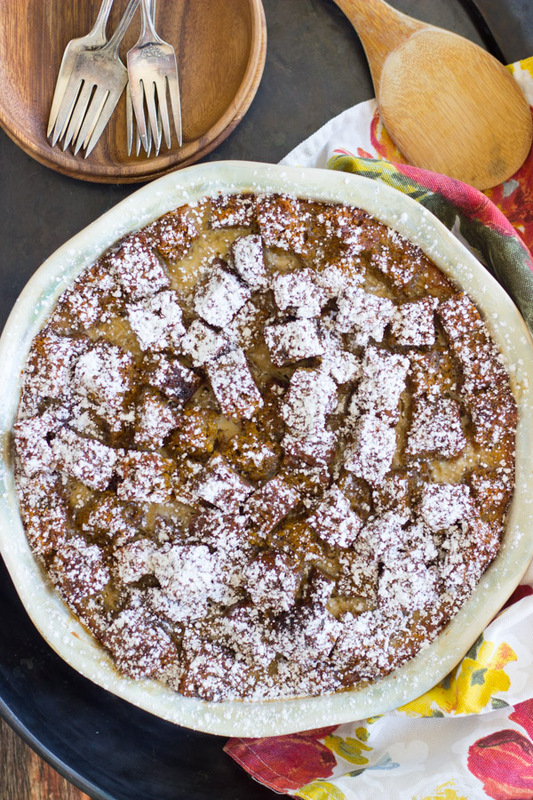 This bread pudding recipe turns a loaf of pumpkin banana bread into a thing of decadence. Each morsel of bread is soaked with the most luscious custard. Powdered sugar is as pretty as snow on top, and then if you’re so inclined, you can top each serving with caramelized bananas. Not necessary, but I always enjoy a good butter-soaked, brown sugar-crusted banana, so why not? 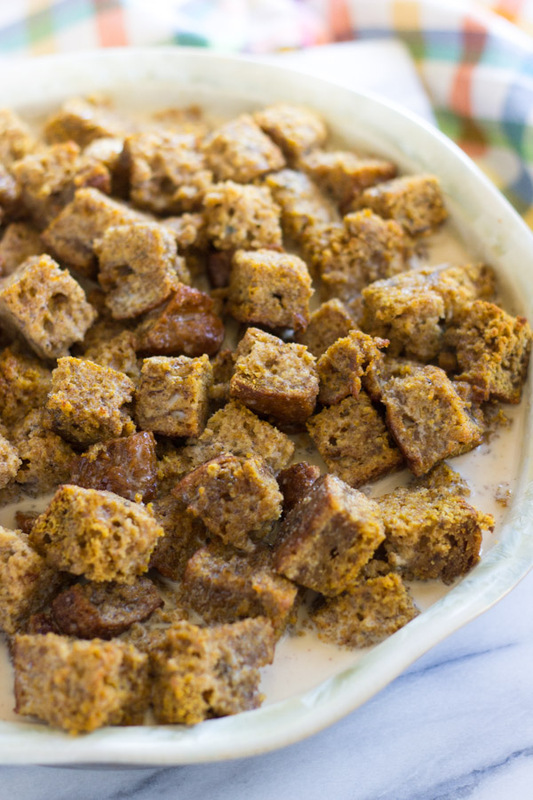 This Pumpkin Banana Bread Bread Pudding will be one of the best fall breakfasts you’ll ever taste. Arrange the bread cubes into a greased 3-quart baking dish. Bake at 350 degrees for 40-50 minutes, or until the custard is set, and the edges of the bread pudding are golden brown and crispy. Do not overbake. 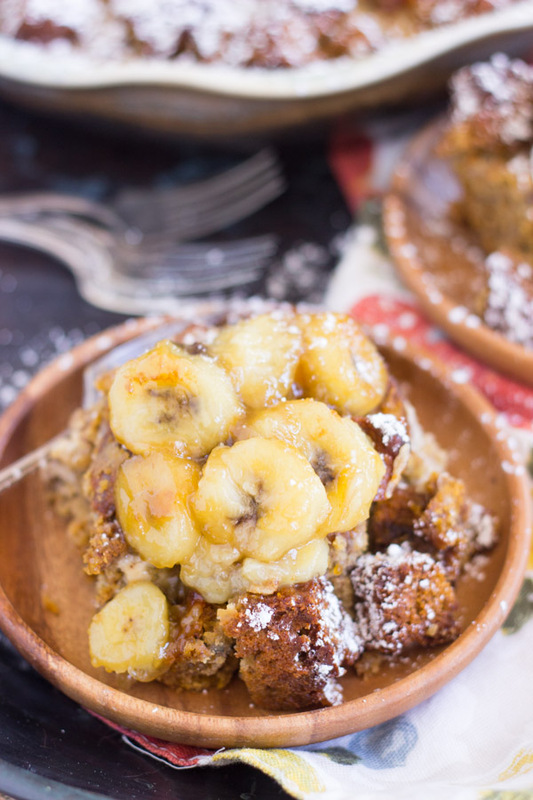 Sprinkle with powdered sugar, and serve warm with caramelized bananas. 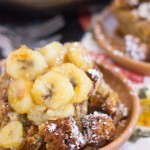 In a medium saucepan over low heat, combine brown sugar, butter, water, vanilla, and bananas. 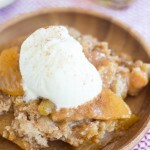 This dessert is basically everything that I could dream of for a fall indulgence. Holy YUM. Funny, right? 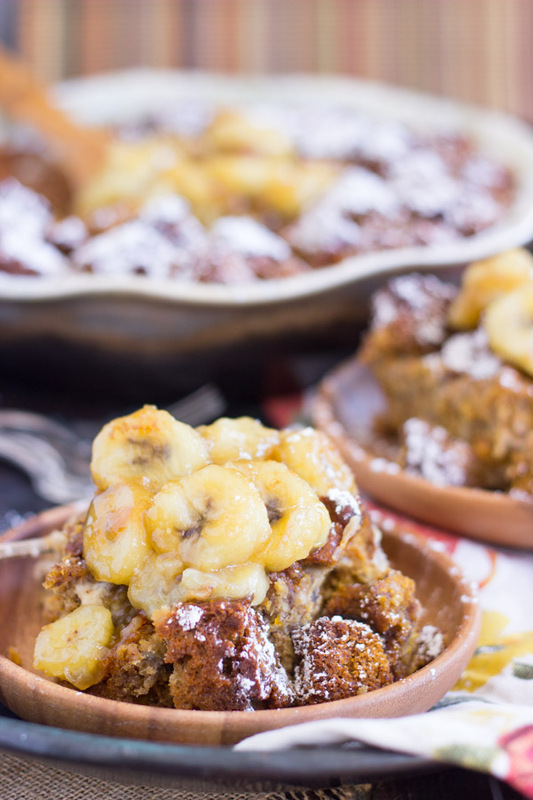 Don’t know why I ever tried a Cosmo banana bread, but it’s been my go-to for years! My mom’s apple pie is epic, and her recipe was from Seventeen magazine in the 60s. Lol! Thank you! 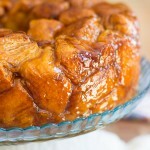 Yes, the bread itself is lovely, but I love to make bread puddings, so it was fun to use the bread in a new way too!